Tonight Leeds Cockpit is holding a packed room for local talent Hannah Trigwell, who is getting ready to finish off her debut headline tour. Having only a handful of songs from past E.P’s and a back catalogue of covers, tonight was more of an insight to see what the Leeds based singer/songwriter has up her sleeves for her first full length album. The crowd finally settles as Hannah Trigwell takes to the stage, looking rather fragile and shy she flies through the start of the set with ‘Give It Up’ from her debut E.P ‘Hold My Heart’ which delivers an impressive vocal performance from the 23 year old. A moving performance of the beautiful ‘Headrush’ from the E.P ‘Pieces’ soon follows to silence the room. A fantastic cover of Drake’s ‘Hold On, We’re Going Home’ gets the crowd singing along for the first time of the night, before giving everyone a taste of some new music. Hannah takes the opportunity to play some new songs to give the 100 strong crowd a tease of her new sound, which seems to be slightly faster and catchier, and if ‘Numbers’ and ‘Rectify’ are anything to go by, Hannah’s debut album will be something special. ‘Hurricane’ is another example of her newly developed sound, and provides an opportunity for the crowd to get involved as Hannah gets them singing along throughout the song. The Encore includes an acoustic cover of ‘Hallelujah’ before ending with the slightly more upbeat ‘Tightrope’to finish the set off perfectly. It may be the occasion of playing to a packed room in her hometown full of familiar faces, which explains the nervousness of her stage presence as she shakes through the majority of the set, but none the less pulls off an incredible performance throughout. An albums worth of new material is on the cards for this year and off the back of tonight we can’t wait to hear it. 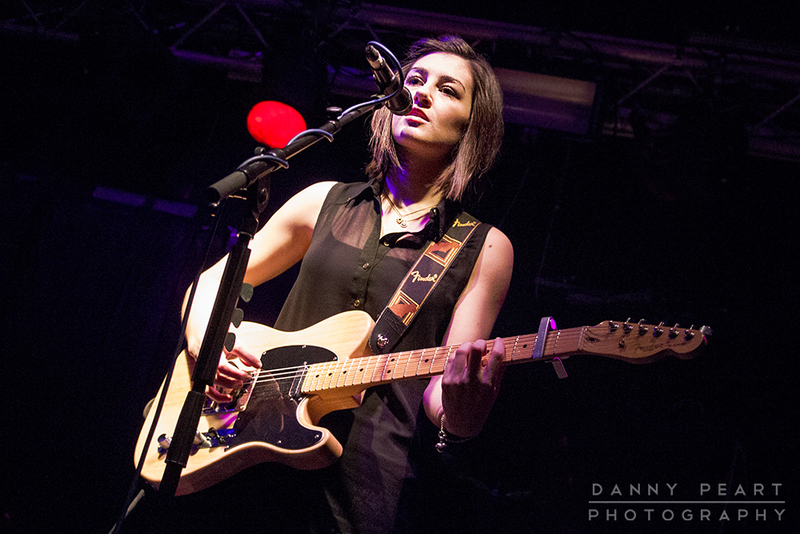 It won’t be long until Hannah Trigwell starts turning many heads here in the UK.